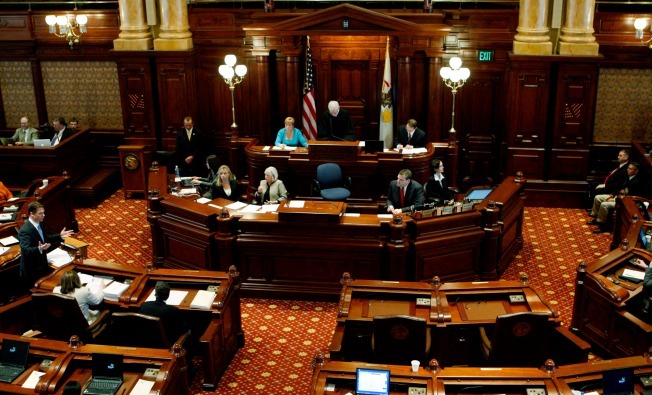 Illinois State Senate Chambers in Springfield, Illinois (Photo by Whitney Curtis /Getty Images). A Springfield Senate Public Health Committee approved a bill Tuesday that would make it illegal to smoke inside of a vehicle when minors are present. Bill SB0728, introduced last month by Sen. Ira Silverstein, amends the Illinois Vehicle Code to allow police officers to stop and detain drivers suspected of smoking with passengers under the age of 18. Violators would face a fine up to $100. Health advocates say the bill could help reduce the number of children breathing in second-hand smoke. Kathy Drea of the American Lung Association of Illinois told The News-Gazette that two out of every five children are exposed to second-hand smoke. Following the committee’s approval, the measure now moves to be voted on by the full senate.